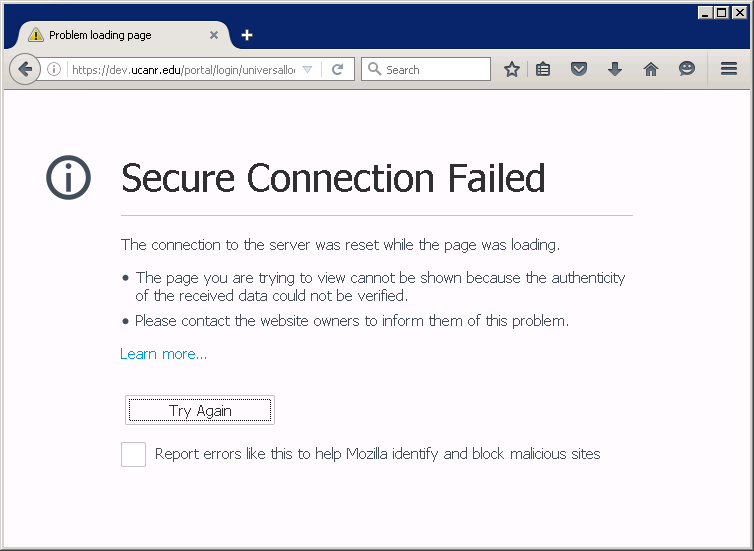 UC ANR encrypted websites will no longer accept connections from browsers lacking modern security features. 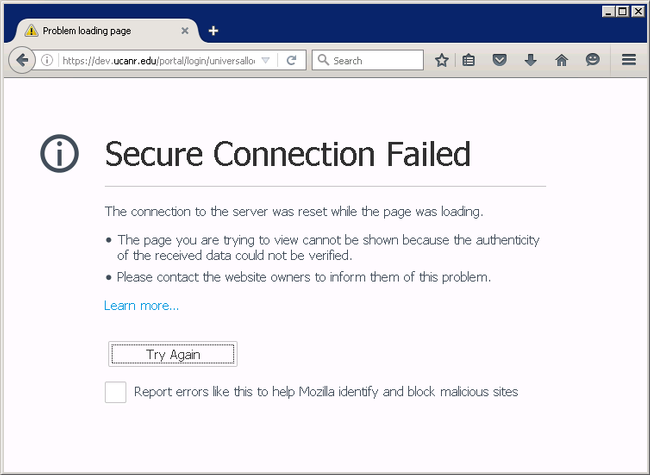 In line with accepted industry practices and to maintain compatibility with our credit card processing system, browsers unable to use TLS 1.1 or 1.2 cryptographic protocols are not supported for secure connections to ucanr.edu. Users with incompatible browsers will need to update their software. Recommended are Firefox, Chrome or any other browser that supports modern standards. All compatible browsers enable TLS 1.1/1.2 automatically; they require no special installation instructions. The increased security of ANR websites should impact only a very small number of users with out of date technology, but please contact us if you experience any difficulties. I have Chrome for my browser. The problem is I also have Windows Vista as my operating system on my desktop. Chrome no longer supports Windows Vista so I can't get the latest update. I am a Master Gardener and need to access VMS, etc. Can I still log on to ucanr.edu portal? If so, how. Support of Windows Vista will end on 4/11/2017 as seen on the link below. Many software companies no longer support Vista as there are significant differences between Vista and later versions that software needs to account for. Everything should be functioning normally again. I have a MacBook Pro and the software is up to date. I use the Safari browser for everything and this is the only site that I am having trouble accessing. Is the site still Mac and Safari friendly?? It really depends on the version of Safari. Old versions of Safari do not support TLS 1.1 and 1.2. The version of Safari available to you depends on the Mac OS version. More and more sites will drop support for TLS 1.0 and lower as it becomes required. If you've able to see this blog post then in https then your fine. No, there is not a deadline. Jonathan Ash Wilson: No, there is not a deadline.